Here are some Steve Kerr NBA Golden State Warriors Quick Hitters for you. I think that you are going to love these Steve Kerr NBA Golden State Warriors Quick Hitters. Golden State is playing small ball right now on the OKC Thunder. They are up and down the floor. I am a huge Steve Kerr fan. Yes, he is the coach of the NBA Golden State Warriors, a 6-2 foot shooter on NBA championship teams, at one time a shooter for an average college team. Did you know that Steve Kerr almost went to Brown University before the University of Arizona gave him a last minute scholarship there? Did you know what happened to Steve Kerr’s father: Malcom Kerr, who was murdered by the Islamic Jihad in 1984 while serving as the president of the American University in Beirut, Lebanon. 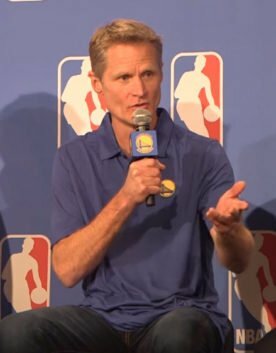 Four years later, while Steve Kerr was a senior at Arizona some fans from Arizona State, met him with chants of the “PLO” and “Where’s your dad”. He ran off the court in tears to only return and score 20 points in the first half. That is mental toughness. That mental toughness is what helped him to have a great career in the NBA where he played for 16 years, a incredible run for a second around pick in 1988. There was a year with Phoenix, three with Cleveland, one with Orlando, and then his time in Chicago. In 1983, he became the guy that could make pressure shots when defenses keyed on Jordan and Pippen. What pressure? You hear idiots in a college game chanting about your dead father. All those open shots were skill. That was his NBA Skill. Kerr is no longer taking those shots, he is coaching a team to take them all the time. 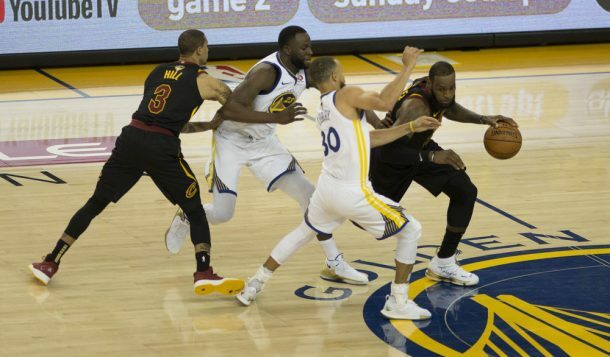 Steph Curry is the biggest threat in the game, and the Warriors take 3 pointers with energy and pace that few teams play with. Kerr’s biggest coaching strength is that he lets his players play, he takes his own ego out of the situation. Steph Curry told Kerr during his MVP acceptance speech last year, “Thank you very much for being you”. That says it all.